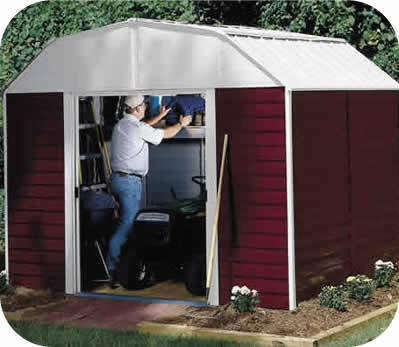 The Arrow Shed Designer Series 4 x 2 ft. Metro Shed makes a perfect place to keep lawn tools, such as mowers, rakes, buckets, and more. 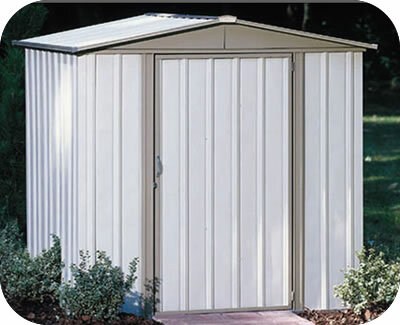 The Arrow Shed Designer Series 4 x 2 ft. Metro Shed makes a perfect place to keep lawn tools, such as mowers, rakes, buckets, and more. 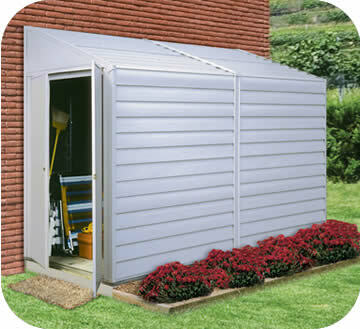 This small shed provides plenty of storage space, supported by a sturdy frame made from hot-dipped galvanized steel to prevent corrosion. The door of the piece can be installed for either right- or left-side justification and swings wide open to allow full access to the frame. 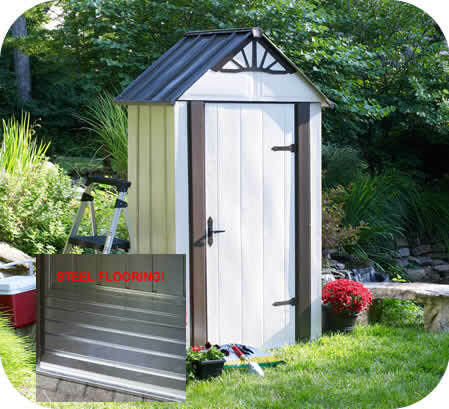 Painted ornamental hinges and a gabled roof accent the design of the piece. A built-in base and floor makes sure the interior remains dry. 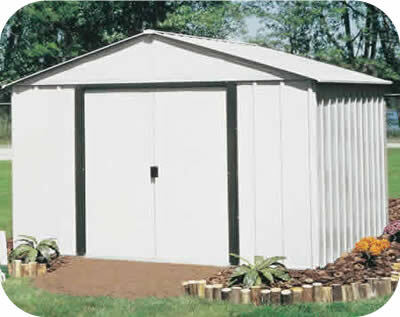 Assembly is a several-day project for one or more persons.